Time for all fans of The Arsenal to unite behind the team. Right, firstly my own views on the manager have been damming over the last few years, for that all I can say is I say things how i see them but the other regular writers on here and the guest writers have had other views on Le Leader so hopefully we at Shewore.com have produced blogs which cover everyone’s views. On speaking with everyone involved in the SheWore Twitter, Facebook and blog there was only one thing to do this week and that was to put the petty bantering we have aside and all just hope and pray we can beat the might of Wigan. So as such we are asking everyone else to get into the spirit as well including those who love Le Leader, those who hate him, those who hate the current largest shareholder and his puppet CEO and those that erm are related to them or getting the odd freebie (I know who you are) . Now I know Le Leader has in the past treated the worlds oldest and greatest cup competition as 3rd priority in any season but this season is different, even the most ardent lover of our current boss will admit this year the FACUP means more than ever for his future. Personally right now I don’t care if he stay’s or goes all I care about is seeing THE ARSENAL win something, it’s been too long, too many people have spent too much money watching us fail over the last few years and it’s time it stopped and those going Saturday can help. No other London club would be able to sell as many tickets for a game. We are and always will be the biggest club in London, both trophy wise and supporters wise. In fact only Man Utd and Liverpool could even come close to getting as many fans to any game but it’s not just about bums on seats we need to raise the roof Saturday, drown out all 10 of the Wigan fans (did you come by minibus) and let the players privileged enough to wear the famous Red n White know that we are behind them. Yes I’m aware some of the players in the current squad are not firing on all cylinders, some are not the most gifted and of course we are missing some with injury but that doesn’t matter. George Graham’s side won the CWC final in 1994 which set out with a bit of bite and not to concede. That team had a passion and discipline we can’t rely on recently so again it’s down to us to back, support and encourage the players. I’m never pissed off when we lose as long as the players put everything into the game, let them feel our passion in the hope it rubs off on them. Now I know I might not have the most positive reputation, mainly due to thinking the club can do better for us fans and have a better manager/owner/CEO and spend more on players etc but let me assure everyone I LOVE THE FACUP. My earliest memories as child were watching the 78/79/80 finals in the front room with my Grandad. When it came to naming this blog, which has been running since 2007 there was only one choice, our Wembley song. My first Semi-final was in 1991 as a young 18yr old and this Saturday I will be sharing the journey there and back again with my mate who I met at work that year. The love for The Arsenal will always keep us in contact even if our lives take us in different directions. 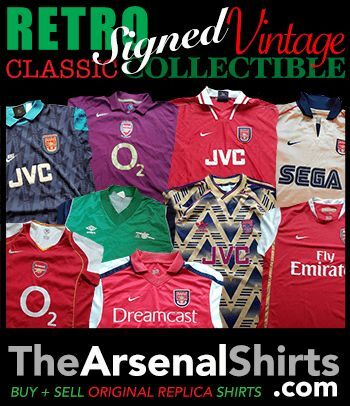 I guess the point of this blog is simple, we all love The Arsenal and we all want us to win. We all have mates that we only ever see at games and we have all met people from many different walks of life that has improved us as people, The Arsenal does a lot for our lives. The banter and debate that happens across all social media should be just that, the bad feeling that seems to split us on so many levels is only because we all love the same thing. So let’s put an end to it for Saturday and hopefully the rest of this season. Have a great day everyone going, nod at the many yellow ribbons you will see, shout and scream your heads off and can we all please go FORWARDS, VICTORIA CONCORDIA CRESCIT. What did she wear ??? 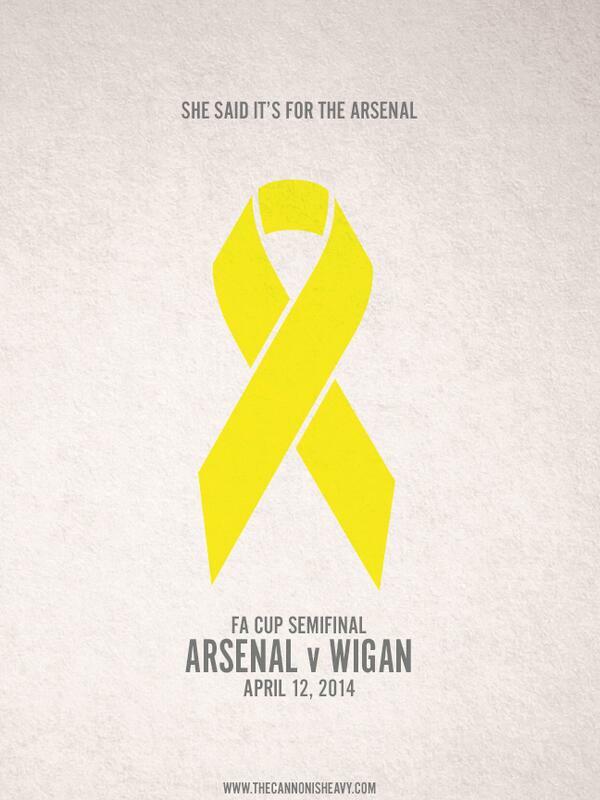 This entry was posted in Arsenal and tagged Arsenal, England, FA Cup, She Wore A Yellow Ribbon on April 9, 2014 by goonersx. Well said tezzar and GC its time we remember who we are and remind everyone else what they are up against. Inspioring story tɦere. Wɦаt happensd after?